Not everyone wants the same thing from a holiday. As travelling surfers and windsurfers ourselves, we’ve seen our own tastes and requirements change over the years. Wives, partners and kids now accompany us on many trips and they each have their own demands. That is why we always provide a fully customizable holiday option. You may only need accommodation, perhaps you want to follow a surf course in Playa Famara but kids want a few windsurfing lessons and your partner wants to laze on the beach or do some shopping. 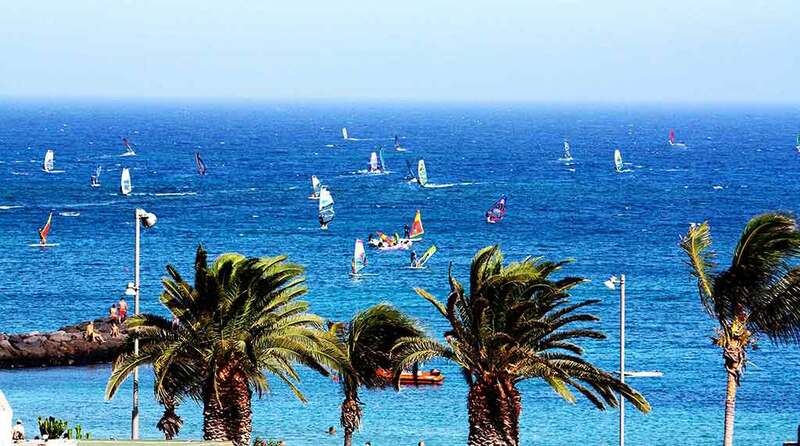 Or maybe you’re staying with friends but want to hire some windsurfing equipment… we can help you with whatever you need to put together your own custom windsurfing holiday in Costa Teguise. If youre an experienced surfer, windsurfer or kitesurfer and don’t need any lessons, you can book your accommodation through us. 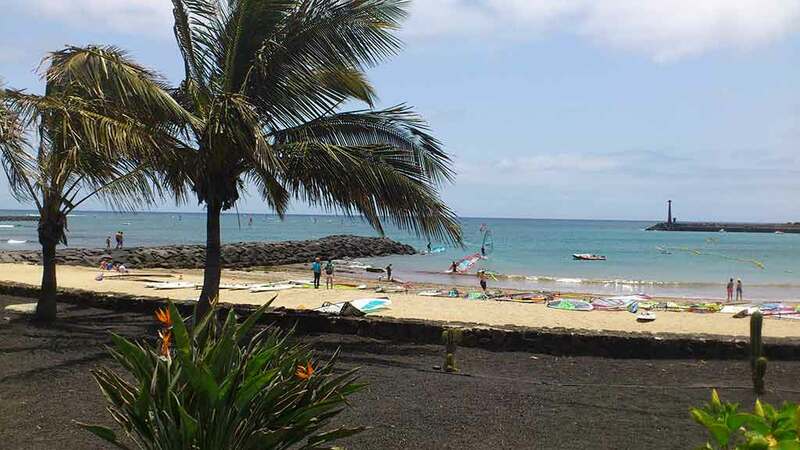 There is a wide range of accommodation available for surfers, windsurfers & kitesurfers in Lanzarote, something to suit all tastes and pockets. At Zoco we specialise in providing accommodation handpicked to suit your specific needs, taste and pocket. For those looking to stay close to the surfing breaks we have sourced the perfect accommodation. We have a wide range of properties to rent in the Famara area including beachfront bungalows in Playa Famara and traditional Canarian apartments in the neighbouring fishing villages of La Caleta de Famara. Alternatively if you have deep pockets or you would like to stay in a resort in a private holiday villa with pool or a 5 star hotel please follow see our full list of Surfing properties in Lanzarote. Located near Las Cucharas beach, the Ocean Apartments in Costa Teguise are near the beach and close to all the shops, bars and restaurants. This accommodation has been hand-picked by the Zoco team for it’s value for money, proximity to the windsurfing beach and windsurfing centre and the windsurfer-friendly staff. However for those of you who prefer to stay in a luxury beachfront hotel simply let us know and we’ll arrange that for you. If you are staying in Lanzarote and already have a place to stay, but are looking for a fun way to spend your holiday, you can attend daily surfing or windsurfing lessons/clinics. These include courses run by qualified coaches, transport and equipment. • Boards, sails, kites, harnesses, etc. All the surfing and windsurfing courses are available for all levels of boardriders from newbies & beginners to intermediates and experienced surfers & Windsurfers. There are guided surfaris available for small groups of advanced and experienced surfers or windsurfers. For more information on the course contents and instructors please see the following pages: surfing courses | windsurfing courses. If you are a seasoned windsurfer and you only require equipment rental then we can offer you just that. Pre-booking of equipment, especially in high season, is essential. You can choose between 2 classes of equipment. Rental Pack A lets you change between 8 types of JP boards and a total of 23 different board sizes. Rental pack B allows you to to change between 18 types of JP boards and a total of 44 different board sizes. Both these options include full access to the 2009 Neil Pryde sail pool with 5 lines of sails and a total of 34 different sail sizes. Sail sizes from 2.9 to 8.2 Boards and sails can be changed as desired. 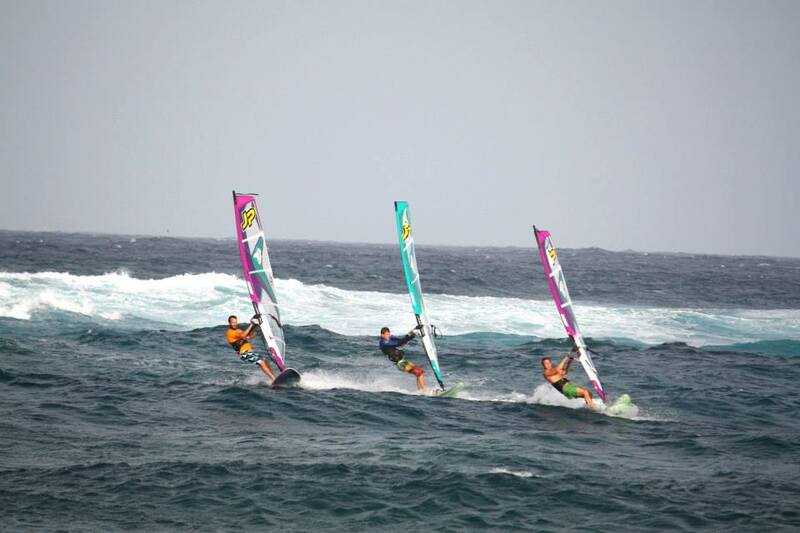 For more information on the equipment and prices please see the following page: windsurfing equipment rental. 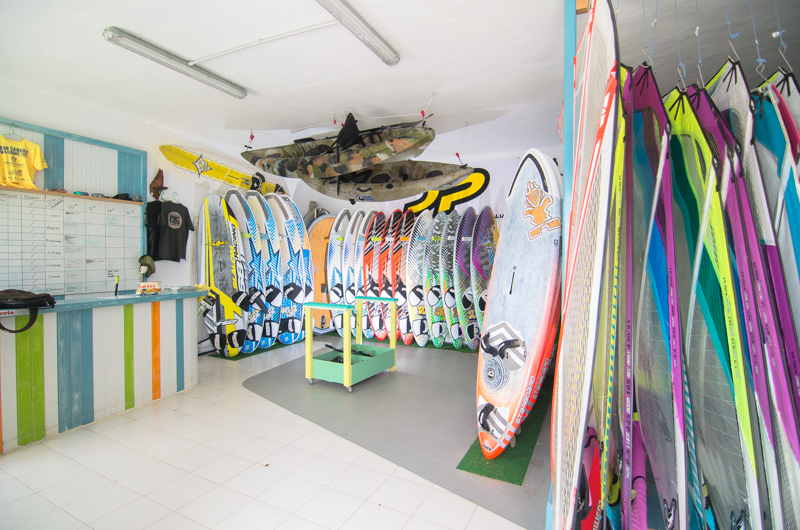 For surfers just wanting to hire gear, the Costa Teguise Surf School have a range equipment for all levels of surfers: Soft deck boards for beginners, NSP and Bic for intermediates and Tufflite and custom boards (shaped by local Canarian shaper) for experienced surfers. Contact us for information and prices.